During the 2015 fiscal year, the Internal Revenue Service audited 1,228,117 individual income tax returns, according to the agency’s 2015 Data Book, released this morning. 0.8 percent of filers were subject to an IRS audit, or 1 in 120 households that filed a return. 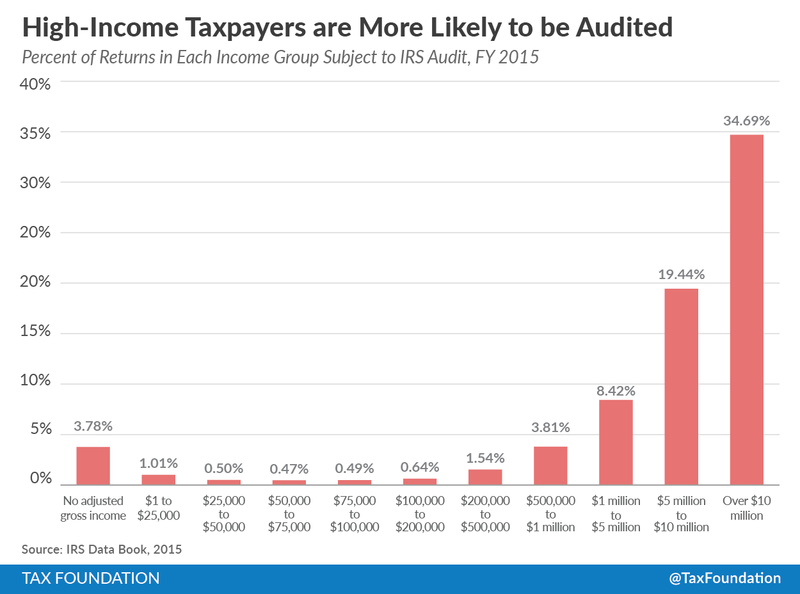 Households with higher incomes were more likely to be audited by the IRS. Almost 35 percent of households with over $10 million in adjusted gross income were subject to an IRS audit in 2015, compared to 0.47 percent of households with between $50,000 and $75,000. Interestingly, as a household’s adjusted gross income approaches zero, it becomes slightly more likely to be subject to an IRS audit. 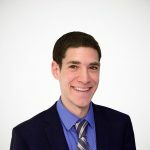 This is because these low-income households are generally eligible for the Earned Income Tax Credit, a provision that is often claimed fraudulently or calculated incorrectly. According to the IRS, households that claim the EITC are subject to an audit rate of 1.7 percent, compared to 0.6 percent of all other households. Overall, the IRS audit program resulted in $12 billion in recommended additional tax payments from households in 2015. About 25 percent of these recommended payments came from returns with over $1 million in income, while another 17 percent came from households that claim the EITC. In addition, the IRS recommended a little over $1 billion of additional tax refunds in 2015. In addition to households, the IRS also audits businesses, estates, and trusts. The IRS is particularly likely to audit large corporations: 64 percent of corporations with over $20 billion in assets were under audit in 2015. This data about the IRS’s auditing activity is not only important to households – who are understandably curious if they will face a tax audit – but also to policymakers, who decide the IRS’s funding level every year. Over the past few years, the Congress has reduced the IRS budget, which has led to fewer audits by the agency. Between 2010 and 2015, the IRS audit rate for households fell from 1.1 percent to 0.8 percent – meaning that about 350,000 fewer households were audited last year than in 2010.